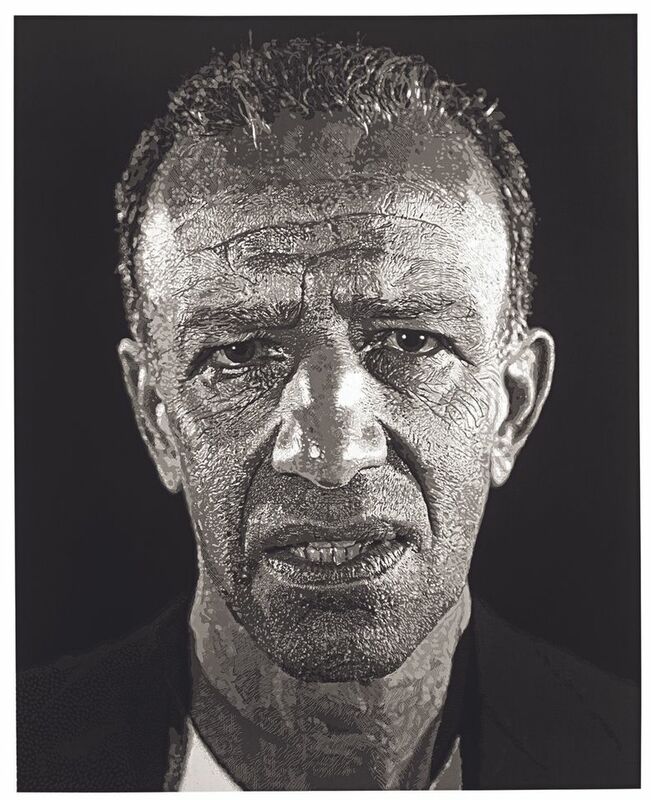 Artist Chuck Close was born near Everett and became internationally renowned for his monumental portraits of human faces ­— even though he suffers from prosopagnosia, also known as “face blindness.” Now a 90-piece Close retrospective comes to Everett’s Schack Art Center. 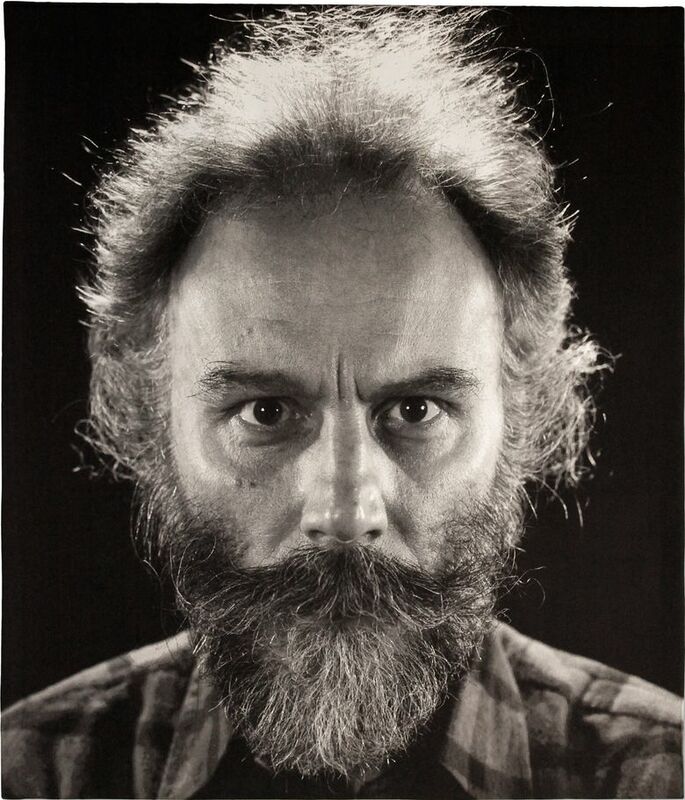 Chuck Close makes faces. Enormous faces. Faces painted with oils on canvas, some of them taller than you are. Faces produced using every printing technique imaginable. Blurry faces made of paper-pulp blobs. Photo-sharp faces emerging from the warp and woof of gigantic tapestries. Staring faces reflected in an anamorphic lens. These faces have a kind of neutral aggression. They may not express much — no smiles, no frowns, no obvious agitation — yet they register intensity. They’re instantly identifiable as Close’s work, and his alone. And they’re a source of endless fascination. The 75-year-old artist’s choice to focus exclusively on the human face since his 1967-1968 acrylic-on-canvas, “Big Self-Portrait,” is all the more unusual because he suffers from prosopagnosia — otherwise known as “face blindness” — a neurological condition that impairs his ability to recognize facial features. 10 a.m.-6 p.m. Mondays-Fridays, 10 a.m.-5 p.m. Saturdays, noon-5 p.m. Sundays, through Sept. 5 at Schack Art Center, 2921 Hoyt Ave., Everett; $5-$10 (425-259-5050 or schack.org). Since 1988, when he suffered a spinal stroke that left him partially paralyzed, the challenges he has faced in creating his work have become even more severe. Although he has only limited use of his hands, he still paints every daub and dab himself, using a brush fitted in a brace wrapped around one arm. He guides its movement from below with his other forearm. Yet there’s no sign of this struggle in the work. Instead, it blends firm control with a spirit of incessant exploration. 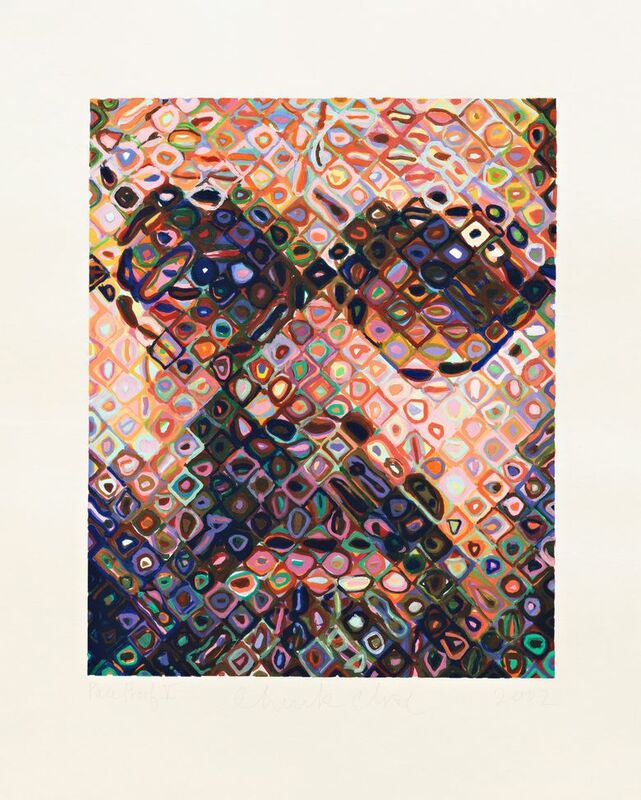 “Chuck Close Prints: Process and Collaboration,” a retrospective of almost 90 Close works at Everett’s Schack Art Center, brings those explorations to marvelously tactile life. Close, an internationally renowned artist, is having a major retrospective in Everett for two reasons. First, Close went to high school and community college there before leaving for the east coast in 1962, but he never cut his ties to his hometown. Second, in January, when the Schack completed its mezzanine-level gallery expansion, executive director Judy Tuohy contacted Close directly, told him she had a venue big enough to do his career justice and asked him for ideas. 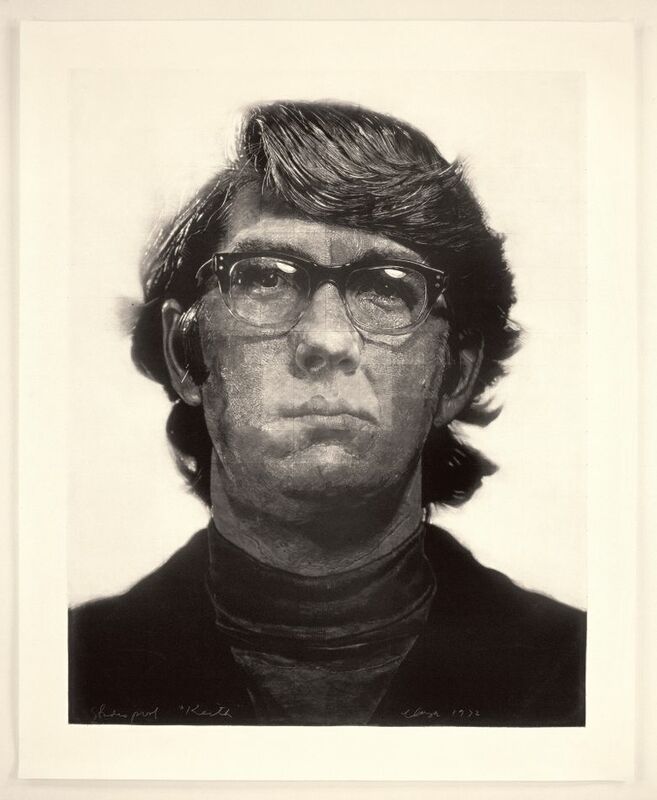 Close put her in touch with Terrie Sultan, director of Long Island’s Parrish Art Museum, who is the mastermind behind “Chuck Close Prints” and the terrific catalog that goes with it. Why prints? Because we’re not just talking about straightforward reproductions of Close paintings. The show’s subtitle, “Process and Collaboration,” is crucial to understanding what’s on offer at the Schack. Over the decades, Close has continually revisited the images he creates. 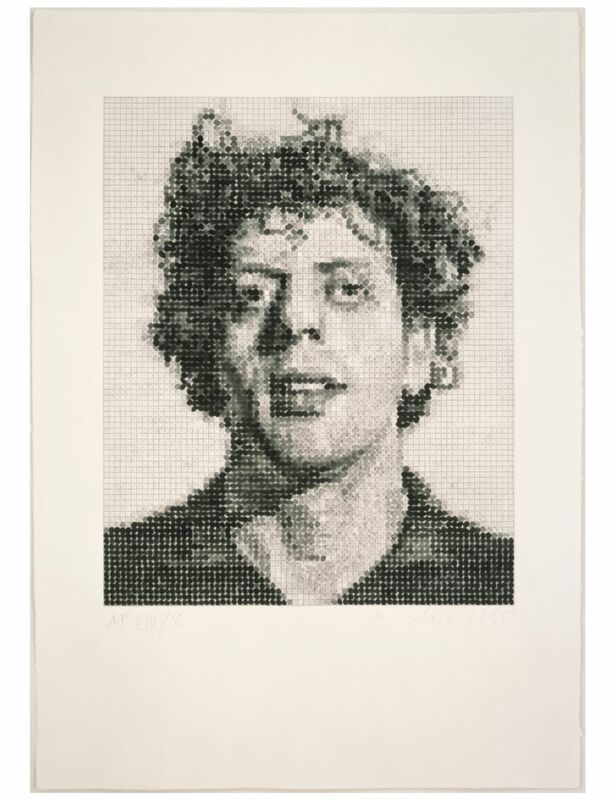 The visage of a young Philip Glass, looking like a tousle-haired faun, appears four times in “Chuck Close Prints.” Artists Alex Katz and Lucas Samaras also make repeat appearances. Close’s family members are frequent subjects, as is the artist himself. Close’s paintings take months to complete, and while he’ll sometimes do multiple portraits of the same person, the print-work is a way of diving deeper into every image’s potential. 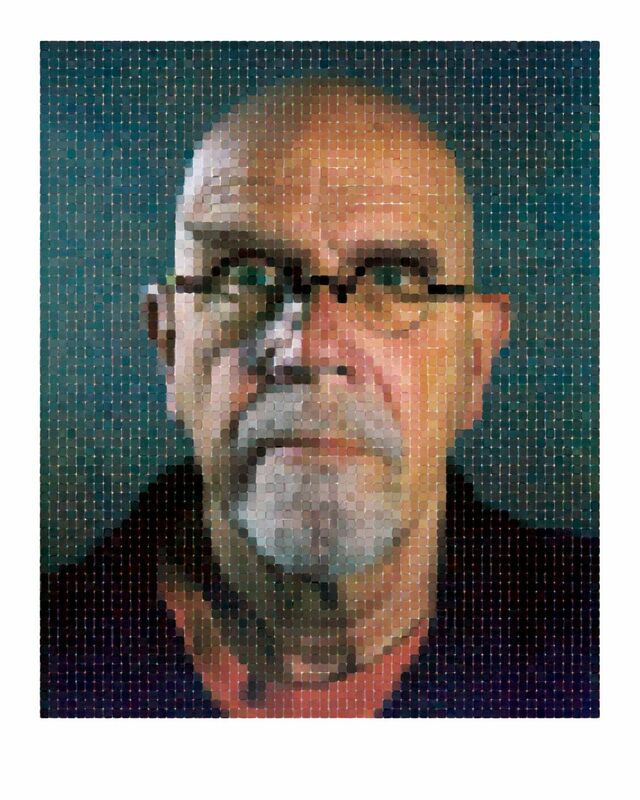 Half the fun of “Chuck Close Prints” (which has been touring the world since 2003) is seeing all the permutations that images of Close’s friends and family members go through as he pushes them from medium to medium. One recent method, developed with master printer Donald Farnsworth, involved Close making 14,000 watercolor marks by hand that were digitally scanned and manipulated in a computer to produce striking archival watercolor pigment prints. In one of them, “Self-Portrait (Pink T-Shirt),” there’s a seductive contradiction between the print’s watercolor-softness and its meticulous grid template. Other methods play with the models’ features in more unusual ways. 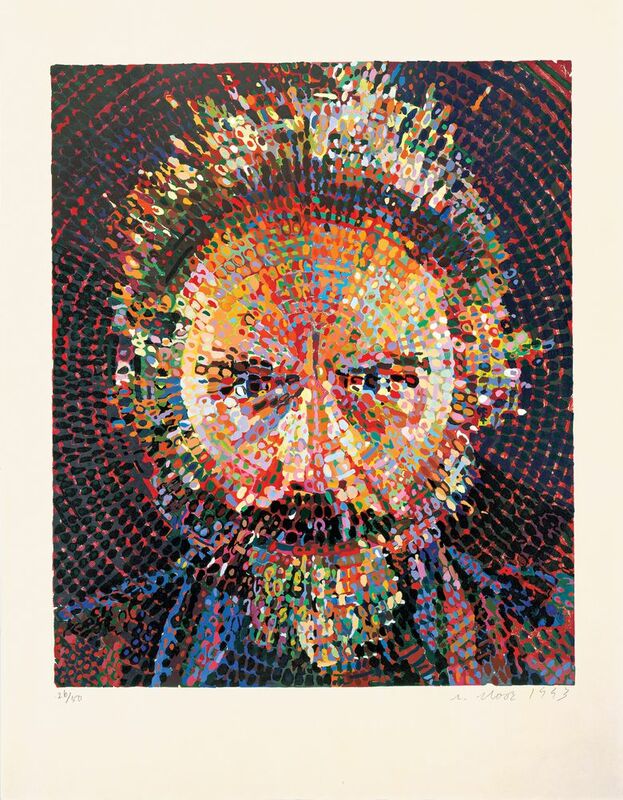 In “Lucas/Woodcut” (1993), drawn from the 1987 oil painting “Lucas II,” the face blazes almost diabolically in radiating, mandala-like color blobs. The tension between the abstract and figurative in Close’s work is a constant. 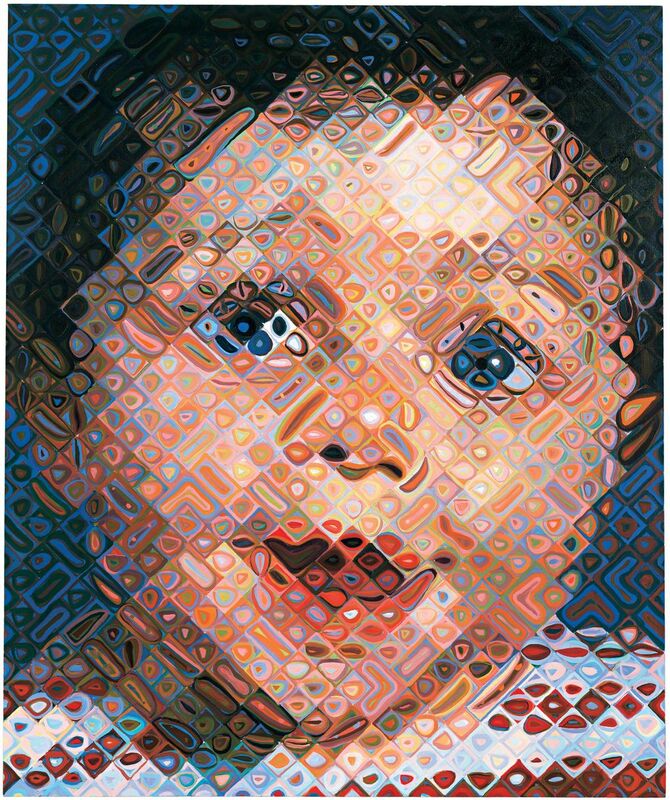 In “Emma,” the one oil-on-canvas in the show, and its 113-color woodcut counterpart (also titled “Emma”), the eyes of Close’s three-month-old niece twinkle in a way that makes perfect visual sense from a distance. Step closer, and that sense disintegrates, as the shapes and color-values of the paint-daubs that constitute the infant’s pupils and irises grow increasingly scrambled and displaced.